I’ve started a little challenge over on The Ignite Your Spark Tribe and on Instagram which starts Monday 1st June. – What it involves is writing a list of all of the things that TRULY LIGHTS you up – the things that make your soul HAPPY dance. 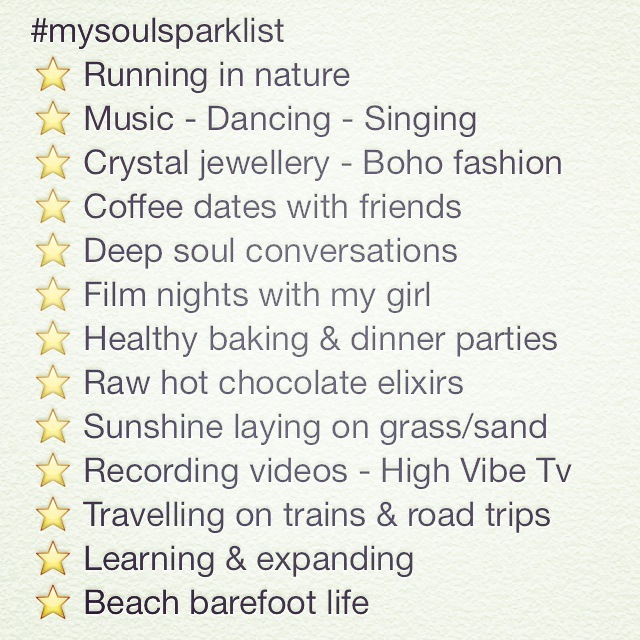 – Once you have your list – (here is mine below as an example) you can use the hashtag #mysoulsparklist so we can connect as a group and then on Monday we start to do one thing of our soul spark list a day! – Then post a photo each day of one of the things on your list , on Instagram or Facebook using the hashtag #thesoulsparkchallenge sharing it and posting it is a great way for us to stay committed to honouring our soul desires every day. Its a great way to build this life changing habit into your daily life. I know that once we truly honour our soul happiness everyday our life will reflect this. We can not receive what we do not give to ourselves. Try this challenge and watch your inner happiness and fulfilment with life transform! I can’t wait to see your post’s. 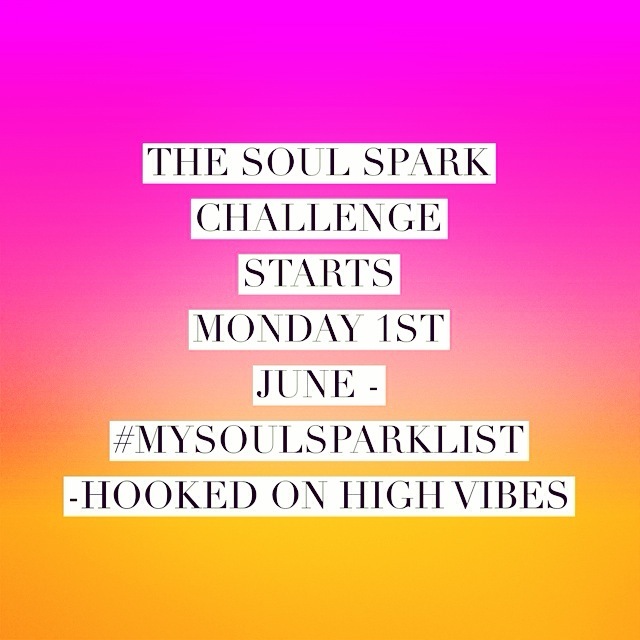 Remember to use the hashtags #mysoulsparklist and #mysoulsparkchallenge – so we can all stay connected and support each other with igniting our sparks and shining bright! You deserve to honour your soul EVERYDAY! I’ve been spending the last few weeks very focused on grounding myself and as I have I’ve been noticing really positive changes I wanted to share with you! Grounding the body is so valuable to our health and happiness. Its becoming more and more apparent that in this fast, busy paced modern age, grounding is becoming a necessity for us to maintain balance in our lives. Most of us spend a lot of time in our heads, planning our futures, remembering our past, and focusing on our to do lists and everything we need to get done that day. Our energy is all up around our head, in our mind. Too much of this can lead us to feeling stressed, anxious, depressed and disconnected from life and ourselves. If you feel like this I can highly recommend getting focused on grounding your energy into your body. For me this is something I have had to focus on and still do to keep myself balanced. I’m in my head a lot – also known as a ‘dreamer’ ‘analyser’ ‘alchemist’ ‘healer’ and ‘creative’. Do you relate? So what I do to keep this balanced is I make sure I add in grounding practices each day. The more I focus on this, the more awesome and amazing I feel. Grounding brings our energy back into our body, brings us out of our head and into our bodies, feeling rooted and centred. That balanced feeling you want – yep comes from getting grounded. Getting grounded brings us back into the present moment, so it helps calm our thoughts, and stops them from running away into the future or past, as this usually is when we become stressed, worried and fearful. Being present is where we experience peace. So grounding ourself can also be seen as being present, living life, living in the moment. When we are grounded in our root chakra, we will experience feeling safe in the world, in our life, we will experience trust and flow, our foundation will feel firm which will make you feel more confident. You will fee secure in your life, finances, home life, relationships. It’s that feeling of safety, that everything is okay, we are safe. I believe this is the chakra we really need to focus on balancing before we move up our bodies into creativity, love, expression, intuition, they are all built on the root chakra. – Going for a walk is very grounding, anything where we are using our legs will ground us. – Any form of exercise that focus on strengthening the legs, our roots! – Moving your body, going for a run. 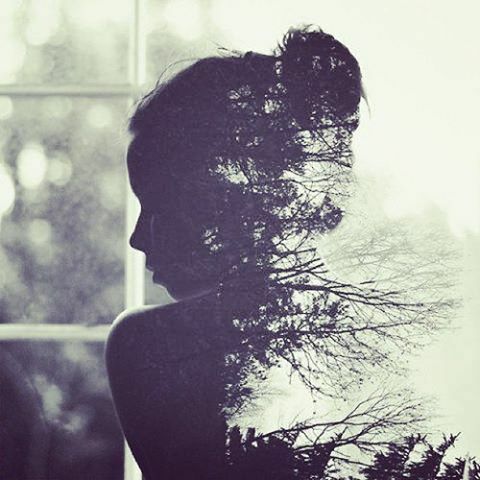 – Getting outside in nature, especially around trees is really grounding too. – Gardening is a great way to feel grounded, as you are touch and connect with the earth. – Eating root vegetables – carrots, sweet potato, beetroot + warming foods. 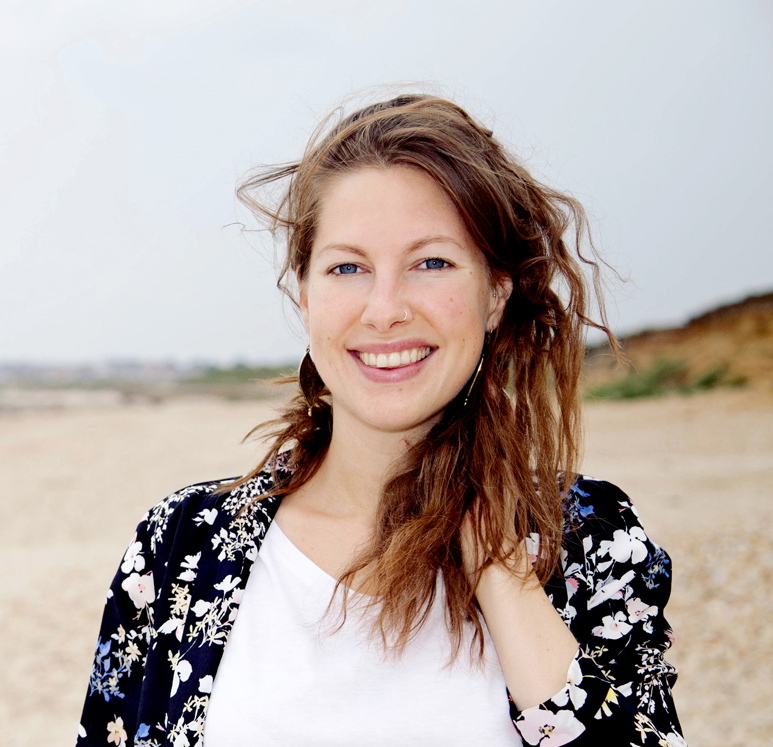 – Focusing on our breath and breathing deeply is very grounding, and brings us back into our bodies. It’s also very calming for the nervous system. – Avoiding stimulants is also very helpful at bringing us into balance too, so avoiding coffee, sugar, caffeine, alcohol etc.. Centered & totally connected to your self. I hope you enjoy experimenting with getting grounded. Let me know how you get on and your experiences.